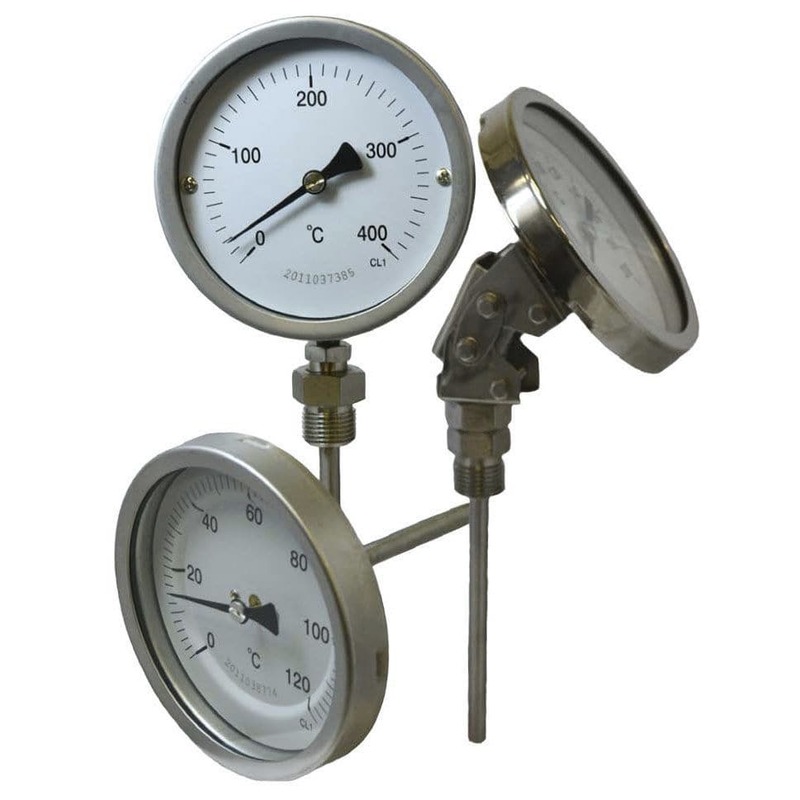 The industrial bimetal thermometers series RIC100 are thermometers with cylindrical spring as sensing element. They are suitable for petrochemical, food and pharmaceutical plants and everywhere is required the use of stainless steel and they have the design features in according to technical specifcations of UNI and others international rules. 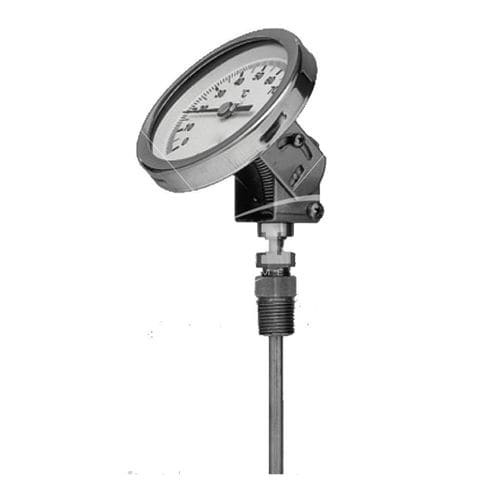 The bimetal thermometer series RIC100 areavailable in 80/100/150 mm dial sizes and back, bottom or every angle versions. They are formed by a stailess steel tube inwhich there is a bimetal helical spiral that gets deformed under temperaturevariations. RIC100-R - Direct, bottom stem. RIC100-P - Direct back stem. RIC100-O - Direct, adjustable angle stem.